So: How can healthcare workers contribute to slowing down antibiotic resistance? 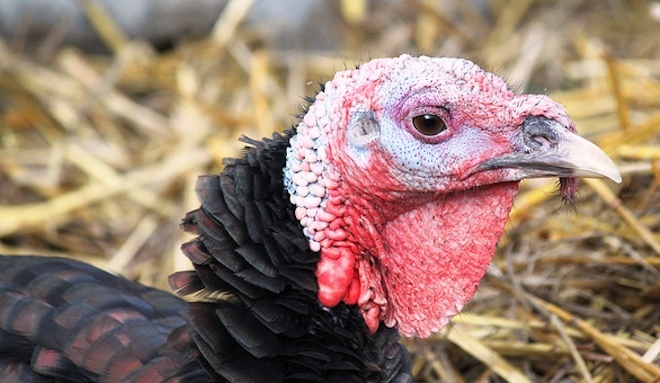 A healthcare nonprofit suggests they commit to buying an antibiotic-free turkey for Thanksgiving. The Animal Health and Veterinary Laboratories Agency (AHVLA) has identified the presence of Livestock-Associated Meticillin Resistant Staphylococcus Aureus (LA-MRSA) in poultry on a farm in East Anglia… Once the poultry have been slaughtered and sold the owner will carry out cleansing and disinfection of their accommodation to ensure the next birds do not become colonised when they arrive on site. The AHVLA will revisit the farm after depopulation and thorough cleansing and disinfection to determine whether LA-MRSA is still present. Perhaps that requires a little explanation. The turkey part should be self-evident. Tetrazzini — a cream-sauce casserole based on spaghetti, one of those early 20th-century dishes invented to honor Italian opera stars — was what they did the second day with the turkey leftovers. Ptomaine (the “p” is silent) was what they worried lay in wait for them on the third. A late 19th-century term that has passed out of use, it derived from the notion that poisonous compounds lurked in rotting food. For people who grew up before the antibiotic era — and who learned to cook when refrigerators were literal ice chests that kept things cool at best — “food poisoning” was a reasonable fear, and a risk they refused to take. On the Saturday after Thanksgiving, no matter how delicious it appeared, whatever remained of the turkey went into the trash.